I don't know about you but the colors of turquoise and teal always seem so calming and yet invigorating to me - yin and yang colors, it seems. Wondering about that, I decided to do a bit of brief research about the psychology of the two colors. A combination of blue and a small amount of yellow, turquoise fits in on the color scale between green and blue. The color radiates the peace, calm and tranquility of blue and the balance and growth of green with the uplifting energy of yellow. It presents as a friendly and happy color, enjoying life. 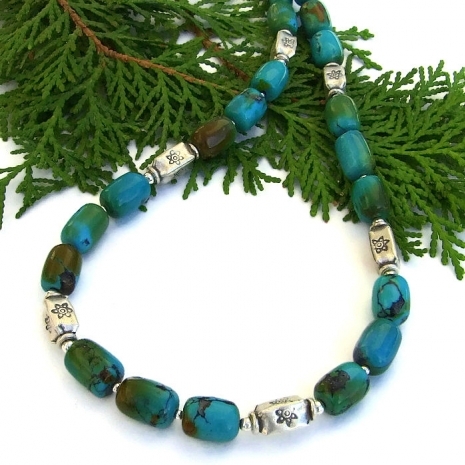 Believed to control and heal the emotions, turquoise is said to create emotional balance and stability. However in the process it can appear to be on an emotional roller coaster, up and down, until it balances itself. 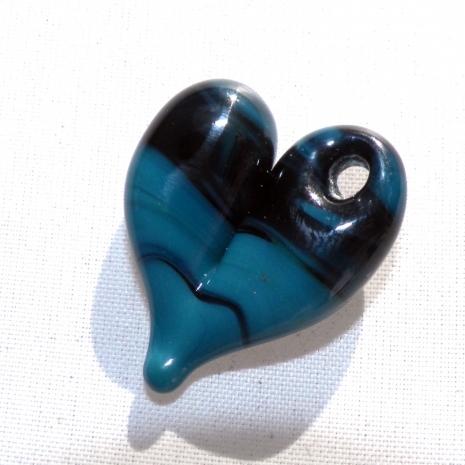 Teal is said to be a more "sophisticated” version of turquoise, signifying trustworthiness and reliability. It promotes spiritual advancement and is believed to transmute negative energies into positive ones. Since the color transmutes Karma, it provides general healing. 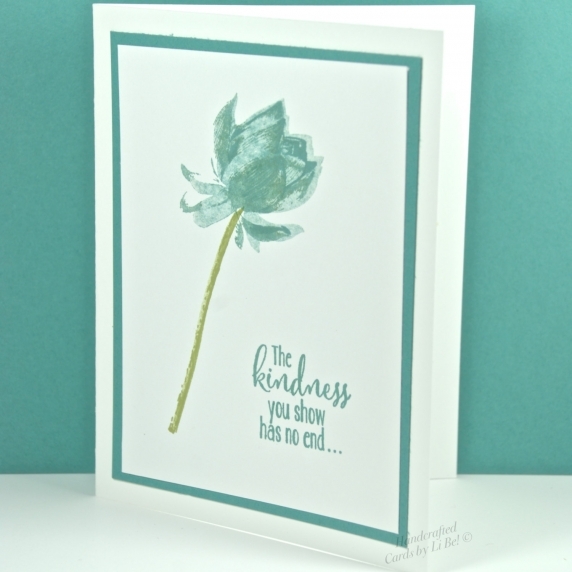 Teal lotus blossom hand stamped thank you card handmade by Lisa of Cards by Li Be! 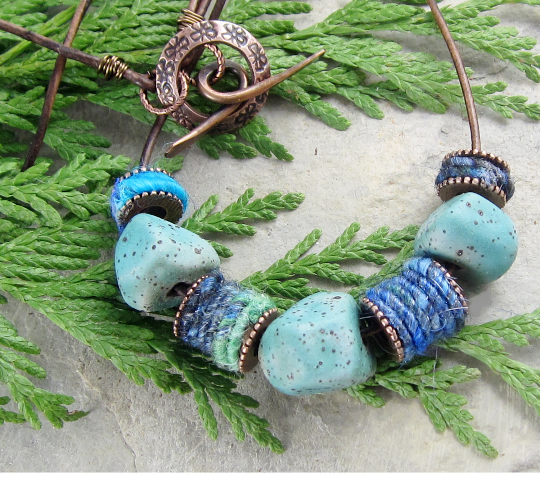 I hope you enjoyed these tantalizing turquoise and teal selections! If you would like to make my day and the day of the artists featured, please leave a comment. And any promotion you can do will be greatly appreciated. Thank you so much! Yum yum yum, one of my favorite colorways. I love your necklace and those lampies by Covergirl are gorgeous!! Thank you for generously sharing!!! Yum, yum, indeed, Kristi! All of these selections almost make me droll due to their brilliant turquoise and teal colors. Many thanks for commenting! 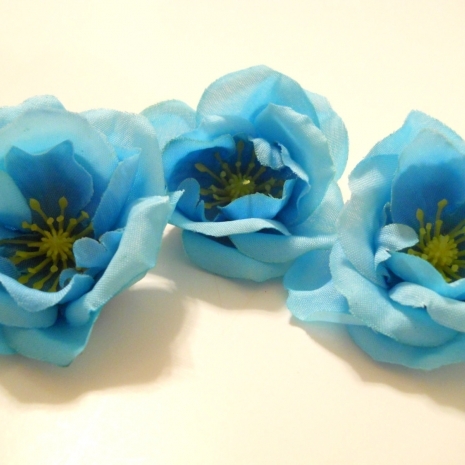 Thanks for posting these glorious handmade items in Turquoise and Teal. I love these colors and the neat combinations that suggest themselves when you choose turquoise or teal as a focal point. 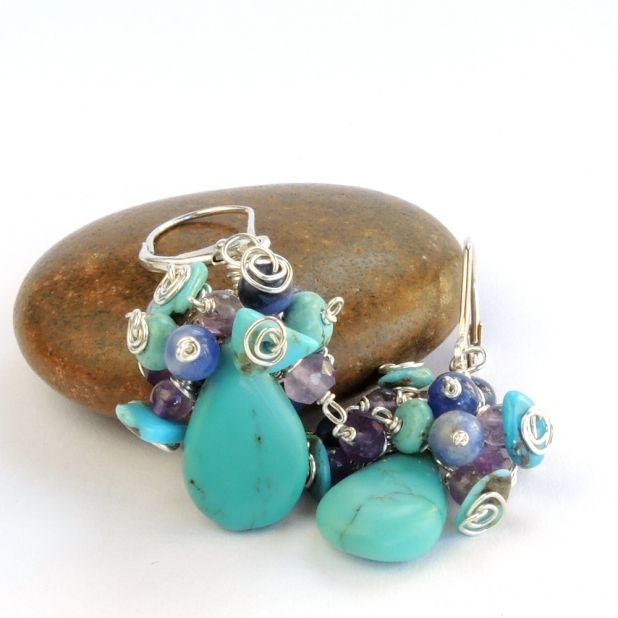 Thank you so much for including my turquoise earrings among your finds. 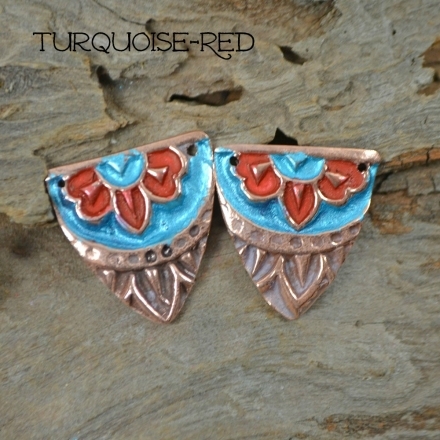 I just love the color combination of your earrings, Pamela. They drew me right away. Many thanks for the comment and for sharing. I'm having a love affair with teal and turquoise! 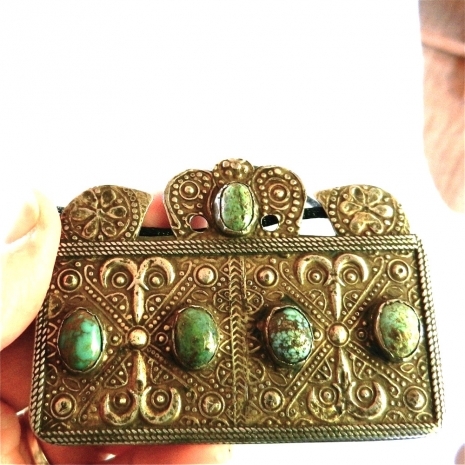 These are such beautiful handmade treasures, that I find it hard to pull my eyes away. It's easy to have a love affair with these two colors. Love the way your pendant pops them against the black. Thank you for all the pins! 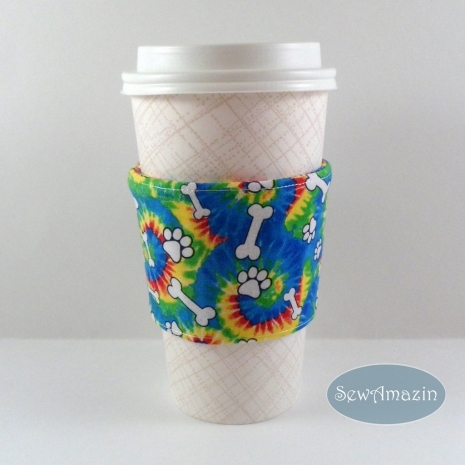 You can't go wrong with turquoise or teal, Donna, IMHO (: Glad to share you cup sleeve. Many thanks for the pins! Thanks for putting together these lovely creations and including my Turkoman amulet with prayers inside. Sharing now. I am so intrigued with the prayer amulet, Anna - what a beauty it is with the extra bonus of the hidden prayers. Many thanks for all your shares! 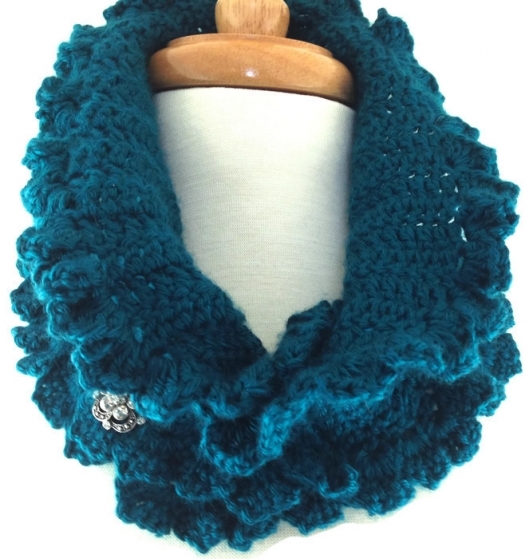 I love these two colors, turquoise and teal! 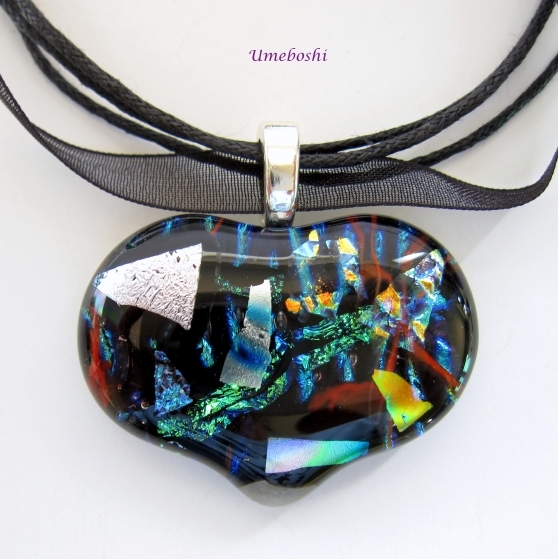 The hand crafted items you have chosen in this blog are fabulous. 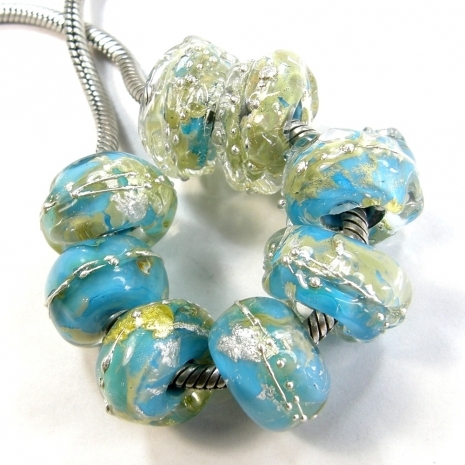 Thanks for including my large hole lampwork beads. Glad you enjoyed the post, Charlotte. it was a pleasure to share your lampies!